If you are a cat lover, a fan of poetry or someone who just enjoys a good chuckle, then Books on Beechwood is the place to be on Saturday, November 27 from 1-3pm. 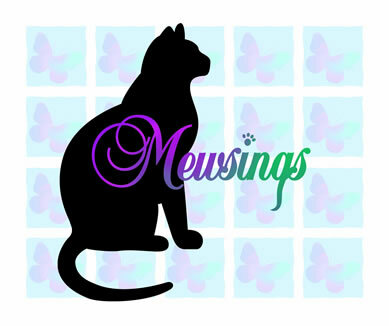 Barbara Florio Graham will be here signing her book “Mewsings, Musings,” a book she wrote with some help from her beautiful cat, Simon Teakettle. “The subtle wit and gentle satire of award-winning writer, Barbara Florio Graham, is back to back with her celebrity cat, Simon Teakettle, in a clever flip book designed to ‘a-muse’ readers of all ages. “Barbara Florio Graham is a writer, teacher and communications consultant. She has contributed to more than 30 magazines and newspapers around the world, websites in 44 countries in 11 time zones, and 35 print anthologies in five countries. Come on down to Books on Beechwood on November 27 to meet Barbara in person, have a chat, buy a book, and get it signed! We look forward to seeing you all here! For more information on Barbara, Simon Teakettle, or any of their work, please visit their website at www.simonteakettle.com.